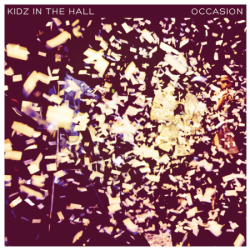 Now Kidz in the Hall have come into their own and just released their newest album, Occasion, last Tuesday. I have nothing more to say than purchase this. Support the locals and really connect with some incredible Hip-Hop. Purchase Occasion on iTunes HERE! Check out the video for “Occasion” below! Follow @NaledgeKidz and @double0KiDz on Twitter! Like Kidz in the Hall on Facebook!